My wife and I agree on a lot of things about going out to the movies. First: Even a bad big-budget movie in Mandarin will probably be more interesting than most bad big-budget movies in English. Second: Always see an indie movie the first weekend it comes out in Fresno, because it will probably be gone by the same time next week. Third: Even a mediocre Woody Allen film will probably be better than most everything else in the theater that weekend. Going in, I read some harsh reviews about the 76-year-old Allen’s most recent film, which played out as a mishmash of ideas centered around four separate stories. The only connection was that all the stories took place in Rome. That general formula has worked well for Allen in so many other great films. 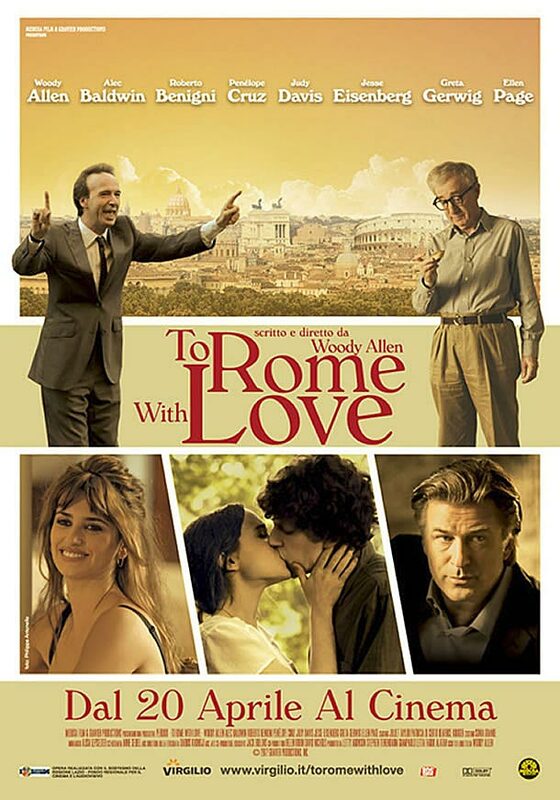 But here, the narratives do not overlap literally or thematically, which left me feeling like “To Rome with Love” was, as several critics suggested, a series of unexplored chunks cut from previous scripts that got loosely tossed together into this one. That didn’t help the dialogue, which felt wooden and forced. The movie had its charming characters, for sure. I particularly loved Rogerto Benigni as a working-class Italian man who is unexplainably swept into a media circus as a temporary celebrity. I also loved Fabio Armiliato as a humble funeral director whose gorgeous tenor singing voice can only be realized when he’s singing in the shower. But there were other not-so-charming characters– Alec Baldwin’s philandering architect, Ellen Page’s self-absorbed actress, Alessandra Mastronardi’s naive country girl, etc. In the end, the only thing that made “To Rome with Love” worth seeing in the theater was that I didn’t have any interest in seeing the new, younger Spider Man or the foul-mouthed talking teddy bear, Ted.